Previous Previous post: Linux Mint 17.2 “Rafaela” Cinnamon released! good work, thank you team. I’m seeding. Edit by Clem: Hi, this is mentioned in the post. Finally !!! Nice work !!!! does rafaela have mmcblk support so we can install on sd card? Edit by Clem: Hi Marco, I don’t think so. It’s a pity this wasn’t mentioned during the RC, we could have looked into adding it. I added this to the roadmap so it will be considered for the next release. Hello, marco. I installed Mint 17.1 via my SDCARD (via card reader) on my friend’s computer and it was completely fine. Also, Drivedroid works too. I’m sticking with Linux Mint 17 Mate for now. Why not? I’m happy with it, it’s rock solid, dependable and it rocks! I can’t imagine a better Linux desktop for novices/intermediate/advanced users than Linux Mint 17.x: for older machines I know of nothing to beat Linux Mint Mate. P.S., The newest update manager is great! When the xfce version will be released?? I want to know how to move to the new version from rebecca. I am missing the services ! In a few days time the Mint team will push a new update manager which has a menu option to upgrade from 17 or 17.1. IIRC it’s under the “Edit” menu. Just a few days to wait! Mint 17.2 Mate “Printers” tool in “Control Center” does not find my HP LaserJet 5000 printer on the parallel port. Mint 16 and previous versions find the printer just fine and allow me to configure it into the system. Being without a printer is not a good thing. since 6 months dual boot Mint 17.x Mate/Windows 7. I only use Mint and love it. Windows 7 is installed just for convenience. I’m looking forward to the upgrade ! I will be spreading the word via BrucesWay, pre-installed USBkeys. So far so good…. Super smooth install. You made a similar 17.2 announcement several days ago, at which time I dl’d it. So, is this a different build or just another press release? Edit by Clem: It was the RC (Release Candidate). This is the STABLE release. You’re not the only one to be confused by this and we’re currently considering renaming our RC releases “BETA”. Linux Mint 17.2 MATE 32-bit works very well. The problem with LMDE2 MATE display looks like it might be an X.Org 1.16.4 vs X.Org: 1.15.1 display driver. Is there a way to try X.Org: 1.15.1 with LMDE2 MATE? Edit by Clem: It’s definitely 32-bit.. whether it supports PAE or not.. I’m not sure. If it doesn’t, you might get lucky with the “Force PAE” option that is available in the live boot menu. Will there be a KDE Release? Very great and pure work is it Rafaela MATE release! I wait for upgrade from rebecca to Rafaela…..
BTW Thank You for the great support. Many thanks to Clem and team. Wonderful! Have been using Mint since Lisa and it just gets better and better. One major issue however… in the file manager, the folder names disappear in compact view. Very distressing… what can I do about this? This is serious, Mum! Anyhoo, thanks again. Love yr work. Nice work. 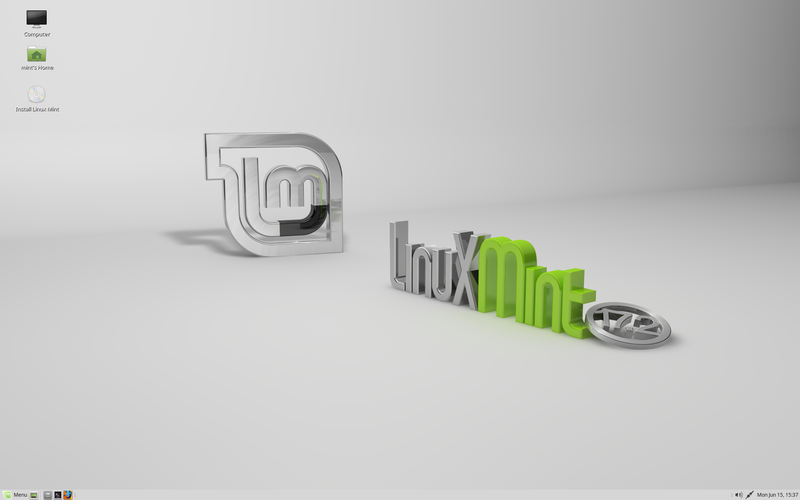 When can we expect Linux Mint XFCE 17.2 edition? I am using 17, previously i have not upgraded my system from Qiana to Rebecca. In Linux Mint Update Manager’s Edit menu the “Upgrade to Linux Mint 17.1 Rebecca” text has disappeared. I think that thereafter it will be possible to upgrade only to the upcoming 17.2 XFCE release, is it true? Edit by Clem: Yes, the upgrade path 17->17.1 was closed and it will be replaced with 17->17.2 (and 17.1->17.2 in Rebecca). Buenos días, alguien me puede indicar por favor como subir Linux Mint Mate al LDAP? Lo hice con una configuración para Ubuntu y efectivamente logre subirlo, pero me muestra todos los usuarios que están creados en el LDAP. Muchas gracias. when XFCE version will be available? How do you edit the terminal preferences for default screen size and color? I notice that the terminal in LM17.2 does not have a menu bar and no apparent way to configure these options like before. Edit by Clem: Right-click -> Show menubar. The new cinnamon 2.6 does not work in 11 year old computers. The screen goes black after about 15 minutes. I had to install Linux-mint 17.2 Mate, and no more problem with screen black out. 17.2 seem great otherwise. It’s just worrisome to see eyecandy added to Mate. That’s the wrong direction entirely and I hope those ‘decorators’ will go back to the Cinnamon project. Edit by Clem: “Silly” is quite subjective, but then so is look and feel I guess. IMO comfort consists in many different aspects, performance/responsiveness but also eye-candy. Compositing reduces the GL performance, improves the overal look and feel and allows Marco to support CSD windows (not that we like CSD windows… but we like working CSD windows better than broken CSD windows). Transparency isn’t just for eye-candy, it’s a valuable improvement to productivity.. I use a terminal all the time personally, often in full screen, and I very often need to see what happens behind it. The menubar change is arguable, it’s there so that the terminal doesn’t grab ALT and so that this modifier key is available to the commands and terminal applications you’re using (for instance in nano, Alt+R is used to Search/Replace). oh people, all who ask will there be xf or Kd, and when: read the blog entry at the head of this side. It’s all there. Sadly OpenOffice Writer installed with a strangely restrictive set of Fonts that excludes my favourites, Palatino and Helvetica, for which I have yet to find an effective work-around but may have to resort to a fresh install of 17.1 and try Upgrading from that. Edit by Clem: Aren’t these MS fonts? Maybe they’re part of ttf-mscorefonts-installer? Some useful improvements, but so far the result is not stable. I run an ASUS H5A99FX Pro R2.0 motherboard with AMD FX 8350 8-core processor, 32GB Corsair Dominator Platinum memory; a ASUS GEForce DC2 GTX670 graphics card and four HDDs. There are three monitors attached. Under Mint 17.1, using the “current” Nvidia drivers all worked well, in fact very well. But 17.2 brings a return to some GUI crashes, Firefox crashing a lot. So I have to say it is one step forward and two steps back so far. Edit by Clem: nvidia-331 is also available in 17.2. Try to run the Driver Manager and select 331 instead of the 346 drivers. Hi Clem, when do you guys plan to release an updated version of Mint KDE? Thanks mint developers for a good job. Im using Mate 17.2 Rafaela RC but soon i’ll upgrade to stable version. XBMC not work even on previous mate 17.1 how to fix it. Edit by Clem: It’s been renamed “kodi” and it’s available in this PPA “ppa:team-xbmc/ppa”, you can use the Software Sources tool to add the PPA and install it. Both the old XBMC, and the re-branded Kodi works fine in Linux Mint Mate, specifically MATE 17 and MATE 17.1 without any fixing; just follow the wiki for the LINUX xbmc/kodi, then use the update manager to keep it current if you want. Where is the services manager ? Opening applications in 17.2 Mate seemed a bit sluggish compared to Mint 17 Mate on the same computer. This was true even with compositing turned off. To be fair, I conducted only a limited amount of testing before returning to Mint 17. On Mate version using Caja in compact view, if I click on Home folder in side pane then File System the folder names disappear! Also, disabling the shadow effect on open windows reveals that there is no dark line at bottom of window; the outline is only on the top and sides. Makes it look rather unlovely. Apart from that love my new, faster Mint experience. Thanks! Edit by Clem: Thanks, I can reproduce both issues. Clem – thank you for the reply at 37, but the simple answer was to take a Version 17.1 Writer document, saved as a MicroSoft Word 97/2000/XP/2003 document and Open it in Version 7.2’s Writer and then enter OK to its Options, LibreOffice Writer, Basic Fonts (Western) that was actually displaying the desired fonts, which after a ReStart gets remembered by Writer rather than the OS. So clearly it’s a new LibreOffice quirk. I’m using Linux Mint MATE since 5 years. Thank you very much for this wonderful work, it’s a so good GNU/Linux distribution. In the next version of the update manager, could you add an option to activate the automatic updates ? I don’t want anymore to manually update each week/day and a lot of people to whom I installed Linux Mint never click on the update icon. Edit by Clem: You can use cron to apt dist-upgrade for you. That way you never have to review updates, everything gets automatically updated behind your back and your computer is always fully up to date (until one day it no longer boots or something). The reason we don’t make it “trivial” for you to do this (i.e. via graphical tools) is because it’s dangerous. We want you to review updates and to be selective with them, and if you don’t have time or if you don’t want to do that, then it’s better you don’t apply updates at all rather than applying them all blindly. Now, it’s really arguable and many people disagree with us on this.. and that’s ok.. and for people who do, there’s cron+dist-upgrade.. so there are ways to make the computer do what you want, it just won’t be configurable easily/graphically because we don’t want to encourage novice users to do that. Although I agree with your stance, and I do read the changelogs, I personally never have run into problems with updates via update manager. That’s not to say YMMV (since there are systems with problems installing Mint) but if an fresh install goes flawless then there’s a good chance updates won’t break it. I can imagine that kernel and propriety GPU-drivers shouldn’t be updated automagically tho’ ! Guys I just want to tell you how much I LOVE YOU !!! Brilliant work! Piece of perfection :))) I’m so excited, you’ve made a perfect user experience and a super stable and good looking OS. It is so beautiful, the menu, the panel, Caja, EVERYTHING ! Just deleted Windows 7 and I will never go back ! 🙂 Please don’t make radical changes like MS or Unity did.. Both torrents deliver incorrect files (md5 differ). Mint-Team, thank you all for the work. I upgraded from 17.1 on an external SSD for various PCs (also EeePC 901) to 17.2 (Mate, 32bit). But luckily everything else behaves like 17.2. After Kernel upgrade GRUB2 says “17.2”. First, I’ve been using Mint for many years, thank you for a wonderful product. I did the online upgrade from 17.1 to 17.2, and something has to be wrong. Performance really got bad. Shutting off the software compositing window manager went a long way to helping, but somehow Firefox is now a much bigger CPU hog than before the upgrade. Machine is a quad core i5 2.5GHz proc, should _not_ be this slow. Any thoughts? Better and better each time!!! Clem and Mint Team – fantastic job! Thank you so much! 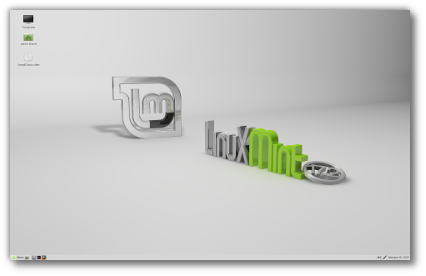 It is a genuine pleasure using Linux Mint and I am recommending it to everyone. Scratch that last, the radeon issue was self inflicted by a troubleshooting step…. Since upgrading to 17.2. there is an annoying keyring for Google Chrome. How do I disable it? Clem, I am running 17.1 MATE using Firefox 28.0 and Thunderbird 24.4. I would like to upgrade to 17.2 but wish to retain the older Firefox and Thunderbird versions. Can I do this by adding those to “Ignored Updates” under the Preferences tab of the new version of Update Manager before I run the 17.2 upgrade? I’m not seeing arrows next to scroll bars under any variation of Mint-X. Is this the proper place to report bugs? 1) CompizConfig Settings Manager no longer functions (i.e. – not saving settings). 2) The Biggie – On the first open application window after booting (or restarting X), the entire desktop “blinks”, or re-builds itself (one to as many as three times) when the window’s titlebar is left-clicked on – sometimes leaving Compiz shadow artifacts on edges of Screenlets and Wbar’s transparent desktop “areas”. 3) There exists two menu entries for ‘Users and Groups’ under ‘Administration’ (i.e. – one too many). I’m bummed! Otherwise looks and functions great, though… thanks! Actually, about CompizConfig Settings Manager, I should have said above that it does not *affect* the settings – if I tick/un-tick the check boxes, those GUI window “ticks” DO save between boots, but no actual visible Compiz desktop changes occur. I just upgraded from Mint 17 Mate Quiana to 17.2, using mintupdate. It took only approx. 15 minutes and it works (apparently) flawless! Also some KDE apps work as before; my wallpaper as well as the window style are unchanged. Nice to see that windows have some neat shadow effect, now. You made a hell of a job! I remember that in the past, dist-upgrades were not recommended. Therefore this posting. My second donation (first was some years ago…) is underway. Keyring returned to chromium and I lost all passwords – very upsetting. In ./local/share/keyrings there are two files “login.keyring” and “user.keystore”. I cannot open these files. I wondered if either contain my passwords. Also I have that annoying “keyring” dialog box popping up again. Asside from this, the upgrade went very well. Thank you to all concerned. i try to install mint 17.2 on my pc, but.. why can’t boot? I installed with USB via S**du. I think it has to follow the installation instructions correctly. on the “what’s new” section, you mention that it is now easier to switch between video cards in an Optimus system. But one sentence says you need to logout to change, another sentence says just click the icon in the system tray… which is it? I use a KVM switch box to enable keyboard/video/mouse to be shared between two different machines. The HotKey sequence to switch between the two machines is NumLock+NumLock. This works fine with Mint 17.0 but not with 17.2. I upgraded the 17.0 kernel to that shipped with 17.2 to see if it was that but using the 3.16 kernel and 17.0 everything works, so I’m assuming it’s the new Mate desktop. I’ve restored my 17.0 system for the time being. After upgrading to Linux Mint Mate 17., i have a double “Time and Date” & “Users and Groups” icon in my Control Center. How can i remove one off them? An apparent bug in the new Mate 1.10…? Adding a second, auto-hiding Mate panel to the top of the screen, and after each re-boot – left-clicking on an open window’s title bar causes the entire desktop to “blink” – refreshing/re-drawing itself. Additional left-clicks can sometimes cause the same blink/re-draw (up to three times, it seems). After that, the rest of the session goes smoothly. Removing the additional top panel restores things to normal. Old HPDV5000 laptop with Intel integrated graphics (Mobile 945GM/GMS – i915 driver). Happens on both an updated Mint 17.1 -> 17.2 (via Update Manager) or a fresh install from DVD (good checksums). I use Mint, in part, to test and help set up old computers (mostly P4 era stuff) before donating them to charity. This new release of Mint/MATE is faster than a clean install of the old Windows XP! A completely modern OS that outpaces an OS that was already out when this hardware was new is pretty impressive! Got some Skype Problems since using Mint. Sometimes if I start a phone call my mic is disabled. If have to reselect manually, then quite the call and ring again. Any idea how to avoid this? After yesterday’s update, Firefox crashes constantly. (Linux Mint 17.2 Mate 32, Firefox 39.0). Until yesterday, everything was perfect. I have the same problem too on Linux Mint 17.2 with Cinnamon and Firefox 39.0. It crashes constantly and I think the problem is related to the last Firefox or Adobe-flashplugin update. Besides, Skype doesn’t work correctly, specially when I use the microphone. Re: Optimus switching. Clicking the system tray icon brings up a dialogue box allowing you to choose which graphics adapter to use. Any change does not take effect until after you logout and log back in — probably because it restarts the X server with a new configuration file. In order for this to work, you may need to have one of the NVIDIA drivers installed. Note that this is different behaviour than what you might have been accustomed to in previous releases, where you needed to use bumblebee. bumblebee turned off the NVIDIA adapter, ran using the Intel HD adapter (for cooler operation and longer battery life), and gave you the ability to run individual programs under the NVIDIA adapter. If you still want to work that way, you can still install bumblebee, and it will do its thing — but only when you are switched to the NVIDIA adapter. If you want to run the entire system on the NVIDIA adapter, don’t install bumblebee. Upgrade of 17.1 to 17.2 via Update Manager went smoothly. Thank you very much. Was able to figure out (by experiment — some hints in Desktop Appearances would help) how to get my previous desktop image back onto the desktop. My previous background color was included in the menu, so setting that was simple, but my previous theme (Mint-X- Neublue) wouldn’t load. I’ll have to research that when I have time. In Ubuntu (going way back in my memory), when in Update Manager and Install Updates was actuated, the password block appeared with the cursor active for inputting the password. As far back as I can remember for Mint, the password block appears, but one has to click in the password window to get it to accept typing. Somehow my responses have been tuned to the previous approach and I start to type before realizing that I’m typing to null. It would be nice if the act of initiating an update also initiated the required next step — enabling typing the password. Buon Giorno a tutti, mi chiamo Maurizio vi scrivo in quanto vorrei dei suggerimenti da parte vostra; Perchè io vedo critto tante belle cose su questo tipo di sistema operativo. Però allo stesso tempo vedo anche che funziona solo con schede video Nvidia e GeForce , mentre nel mio PC ho Pentium Intel e Chipset Family. Per qui Io avendo tali caratteristiche , incorro in qualche problema visivo o no ! Mi optiplex 170L trabaja de maravillas con Linux Mate 17.2. Tengo problemas solamente para que la impresora Canon iP1900 trabaje. El sistema hace la carga de lña impresora, pero dice que faltan filtros… y no funciona. Thanks for this newest version of Mint and Mate! Works great in VirtualBox (on both Windows and Mac hosts), dual monitor, no troubles. Very snappy performance and a nice upgrade for me — great desktop features not found in LXDE (was using LXDE before). Thank you for the Rafaela edition of Linux Mint. I’ve been using it as my daily driver since its release, and on my laptop Lenovo G510 it’s been rock solid, just as Rebecca was! Will there be a PAUSE button implemented in the File operations dialog (copy/move/delete) and will there be some kind of option to separate this process’? What I mean by separate is when I’m copying let say 50gb of data and in the mean time I want to delete something, the delete function always waits for the copy to finish or for my manual activation in the form of pressing play in the file operation dialog. These are just suggestions, because i found the pause button in addition to the play/start and stop button to be invaluable, just like its on Windows 8.1. Anyway thanks again for the amazing distro! Guys, thanks for this 17.2 update and Mint in general, which I use on my main business/home computer. Mate is my choice of WM becasse it is just the best for office productivity and business. Many other Linux desktops have gone the way of excessive eye candy – becoming tarted up toys in the process. Others have gone the Unity/Gnome 3 route, forcing your desktop to become a sort of giant mobile phone. For serious work, Mate is now the best in my view. And is part of the reason why Mint continues to be number 1 on Distrowatch. Therefore I am a bit uneasy that Mate has been invaded by eye candy, even in a small way. You can easily turn off the compositing, and I did so immediately. I just hope this doesn’t signify a shifting mindset within the Mate project. Don’t do it. Please. Rotating cubes and slithering shadows are great and all, but not in the middle of my accounts software. Leave that stuff to Cinnamon, so people have the choice. That small point said, tremendously well done to you guys. Again. I can’t wait to reload my machine with Raphaela, but over the years, I’ve learned that installing ANY distribution too soon after initial release can at best cause irritating glitches, or at worst severe issues that increase my bald spot’s real estate. That said, the Linux Mint 17.x series represents a radical new release system that’s been overdue for more than four years. Beginning with and LTS base, the stability is everything I’ve ever loved for reliability, while the point releases provide the latest versions of all my favorite software and guaranteed patching against virtually any vulnerabilities in record time. Sadly, I’m not used to this form of release system, so experience still compels me to wait a full month from release date before I install it. Man, it’s like Chinese water torture having to wait another two weeks, but a tech’s gotta do what a tech’s gotta do. At any rate, thanks so much, Clem and dev team for Raphaela, and you’ll always have my gratitude for switching to the LTS-only release system. You guys have set the bar so high, Canonical is hopelessly outclassed. To the other Mint users, I have a strongly urge donations to the project. Logic dictates Canonical cannot sustain the accelerated release system while its attention is diverted between Unity, Mir, Ubuntu for smart phones, and the recent issues involving the Ubuntu Concil and Kubuntu’s lead developer. We’ve already seen issues involving the STS releases, which have gotten worse with the accelerated schedule. Sooner or later, something will have to give, and when that happens, the Mint team may need additional resources in order to restructure our facorite distro into something more stand-alone. This concern, I’m sure, is somewhere in our minds, and to make things worse, it’s not the only one. Adobe has discontinued GNU/Linux support for the flash-plugin for Firefox while promising to provide security patches for the next five years. This has prompted Mozilla to block all flash code in the latest releases of Firefox. Donations to this and other open source projects will ensure that solutions to such inevitable dilemmas will always be available, be it from volunteer developers like Clem and his team, or through corporations who will then see a financial incentive to reconsider our chosen OS. Think about it fellow geeks. Getting paid to work a project like this isn’t a bad thing, and we all benefit. Ok… I’m putting my soap box away. Thanks again Mint Team, and God bless!